Alpha crystallins are water-soluble lens proteins of the vertebrate eye that are related to the small heat shock protein family. Lens crystallins are divided into alpha, beta, and gamma families. Alpha crystallins are further divided into acidic (Alpha A) and basic (Alpha B) groups. In the lens, alpha crystallin maintains proper refractive index, however it can also function as a molecular chaperone that binds to denatured proteins, keeping them in solution and maintaining the translucency of the lens. In response to cellular stress, alpha crystallin is phosphorlyated and may serve a structural control function and play a role in protein maintenance. Both alpha A and alpha B crystallin prevent apoptosis by inhibiting caspases. This antibody recognizes human, mouse, rat, and bovine alpha A crystallin. Other species have not been tested. It does not cross-react with alpha B crystallin, beta-L crystallin, beta- H crystallin, gamma crystallin, Hsp25, Hsp27, or Hsp47. 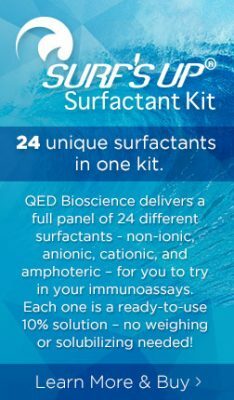 Immunoblotting: use at 0.5-1ug/ml. A band of ~20 kDa is detected. Positive control: Purified alpha A crystallin. User should determine optimal concentrations for their application.